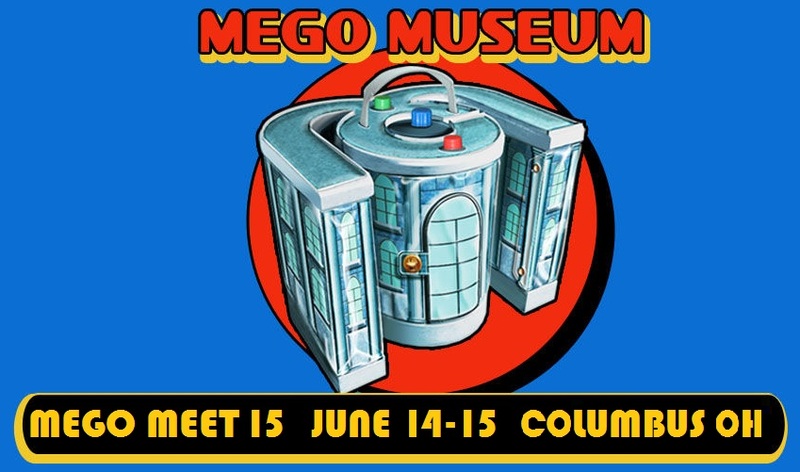 Mego Meet is a chance for the Mego toy collector community to get together in person to trade and buy parts and action figures, attend sessions designed to educate and answer questions about the Mego Corporation and the toys they made, but more than anything a chance to connect with friends and fellow collectors live and in person, instead of over the internet. Take a look through the previous events' picture galleries. The photographs there will tell you more about the event than words can. Also, like us on facebook where have videos and photos from previous events and answer your questions. Mego Meet 15 marks our second year in Columbus, Ohio and as the name implies is our fifteenth meet. Dates for this year are June 14 and 15. This is event is not held to make a profit. Attendee and table fees go towards covering the costs incurred for hosting this event. Through the links on this page, you will find information on events as they are scheduled, registration, hotels, picture galleries and more. We will add more information as more becomes available so check back often.